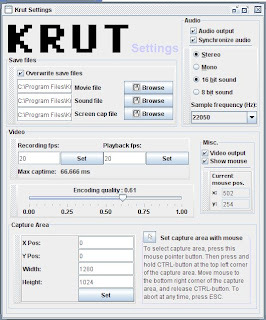 Krut Computer Recorder is a free program that can record anything that occurs on your computer screen (both video and audio) and encode it into a MOV video file. It can be used to create demonstrations/presentations or to capture and record streaming video. It can also take screenshots. Step 3: By default it records only 320x240. 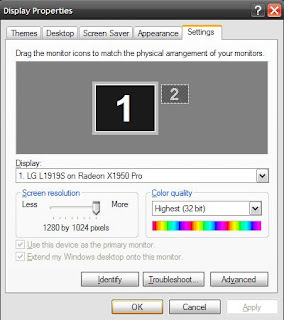 You can change it, if you want to capture the whole screen to your settings, you will have to set it like your screen resolution, see the width and height similar to my screen resolution. There are many other settings. Unusual Websites you should Bookmark.